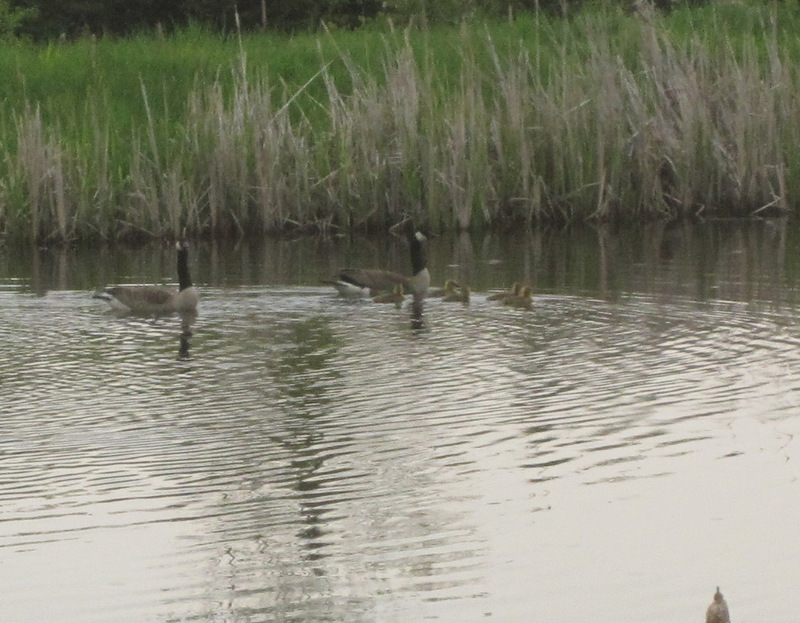 Most years since we’ve had our ponds, a pair of Canada Geese take them both over and raise a brood of goslings. Some years the founding pair have a vigorous time defending their home against others that have similar designs on the property. This year there was no such ruckus. In fact, we didn’t really know they were here until the other day when I observed them proudly swimming in the pond with their fluffy yellow offspring in tow. Some years, we just get a quick glimpse of the goslings, and then the parents take them somewhere else to fledge and grow. I’ve heard about this and don’t really understand it, but I can tell you it happens most of the time. By the time we see them swimming, they are often gone the next day. This year we’ve had them around for several days, and it has been great. Franco is learning (slowly) to leave them alone. I’m guessing the adults would teach him a bit more forcefully than I do if he got close to the young ones. We had some more lovely rain today. The creeks are all running pretty full, and the gardens are both muck pits. We’d like to get some work done out there, but until things dry out some, we’re stuck just watching. It is a nice problem to have, when considering the dry springs we’ve had for so many years now. This entry was posted on Monday, May 30th, 2011 at 9:09 pm and is filed under Uncategorized. You can follow any responses to this entry through the RSS 2.0 feed. You can leave a response, or trackback from your own site.